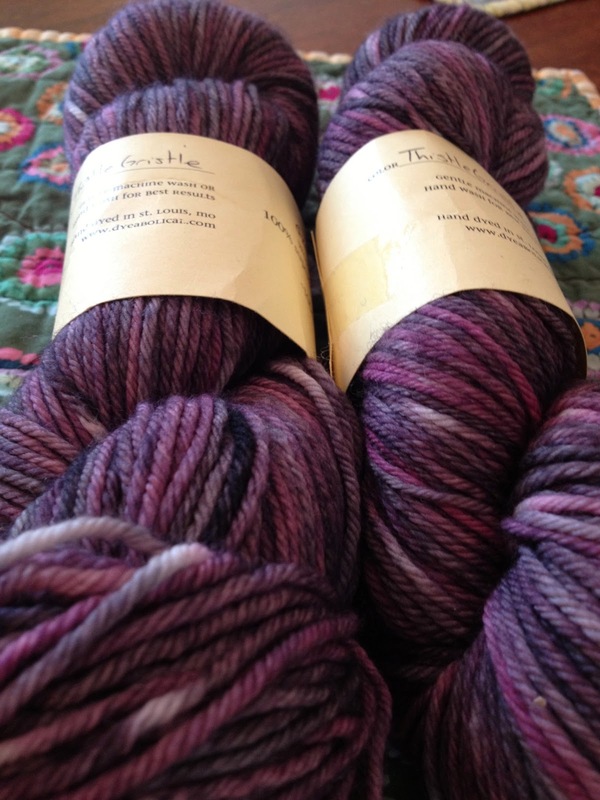 A few years ago while at the Kentucky Sheep & Fiber Festival I purchased the last 4 skeins of Dyeabolical Worsted Weight in the Thistle Gristle colorway. 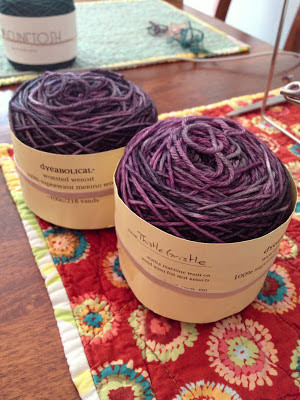 I love the yarn and the colorway and wanted to knit it up right away but with the limited yardage I debated and debated over what to knit with the yarn. Then a few months ago I was on Pinterest (click here to see my boards) and ran across the photo of a little cap sleeve turtleneck called Siri. I quickly clicked through to the links and purchased the pattern. 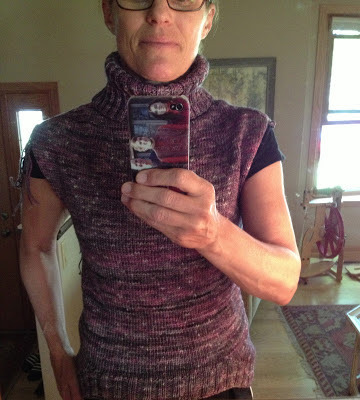 I had just enough yardage to make the small size with the narrow body (vs. the A-line). 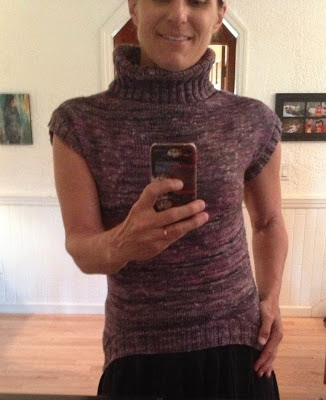 I love a cap sleeve turtleneck for layering (over and/or under), it is stylish and practical. I alternated skeins (switched skeins every couple of rounds) to prevent pooling with the variegated yarn. 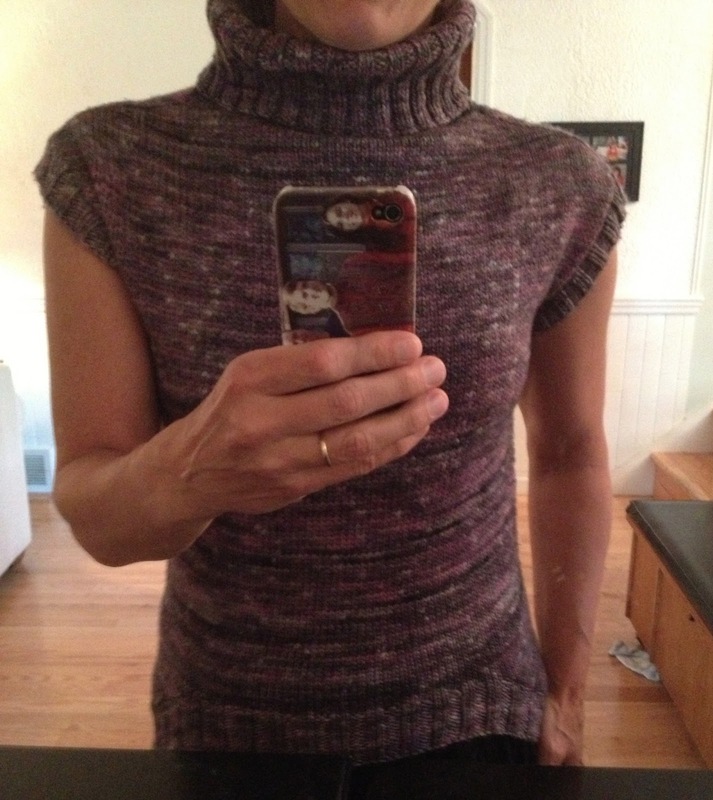 The sweater is worked mostly in the round starting with the generous ribbed turtleneck. It is a fast and simple knit. The pattern is thorough and well-written. The point of real interest comes into the German Short Rows used at the bottom of the sweater before the rib section. This is the first time I have used German Short Rows and they are a pretty slick option. I just searched on YouTube for a tutorial and went from there. 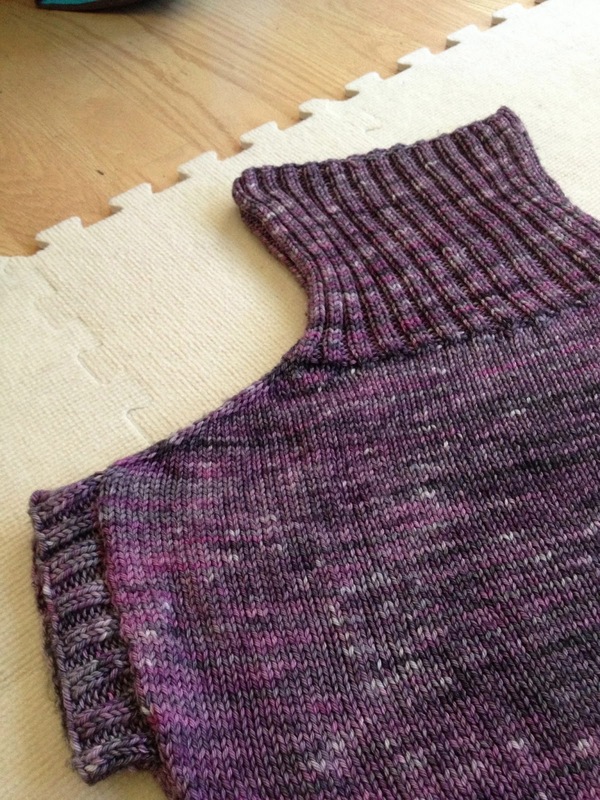 The short rows create a sort of swoop of additional length for the back side of the sweater. It is a good and flattering design. The following is the rest of the making of Siri in photos. Enjoy! 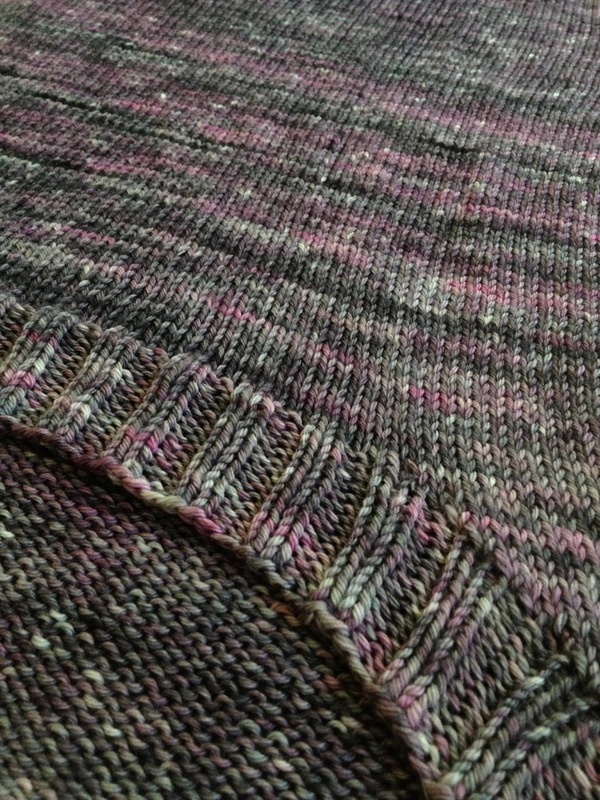 Above is my new cardigan project. I am knitting Carrie's Wrap from Sally Melville's newest book, Knitting Pattern Essentials, a fantastic book by the way. 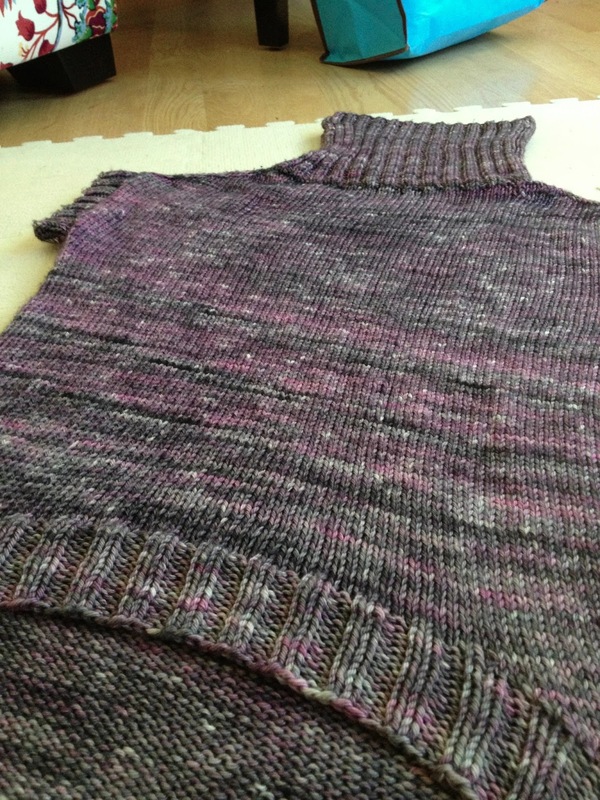 The cardigan is knit in pieces and seamed together. 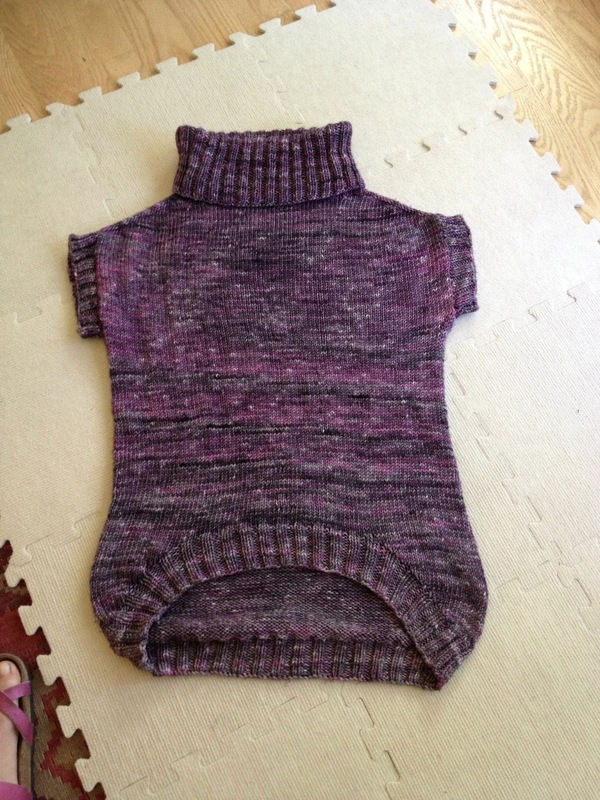 I am looking forward to the seaming as I haven't knit a pieced garment in quite awhile. I kind of miss it. 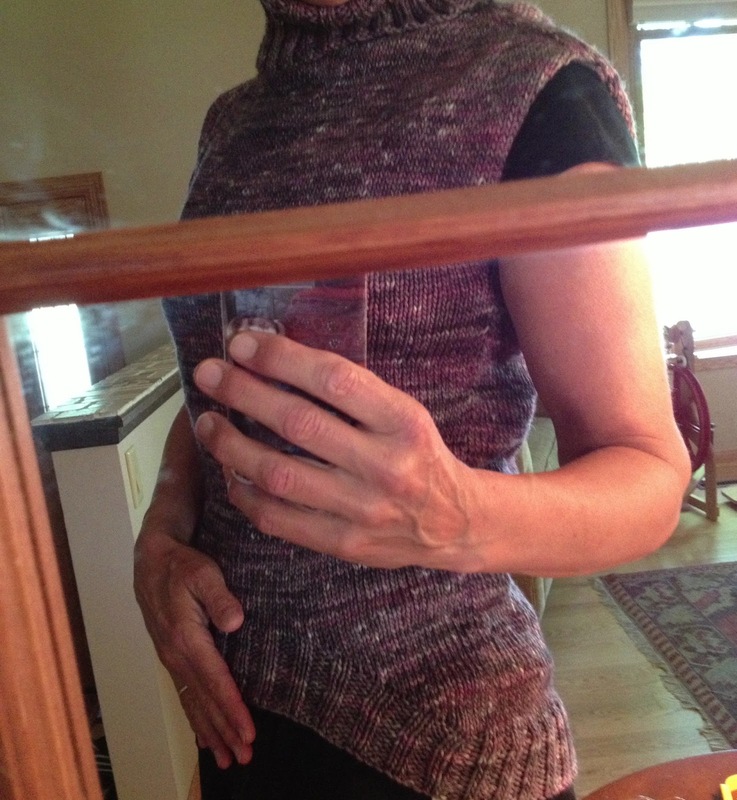 I have finished the two back pieces (there is a center back seam), and I am almost done with both fronts. I am using Rowan Polar in a chocolate-y brown on a US 11. This yarn is about 10 years old so I am glad to put it to use. I'll keep you posted. 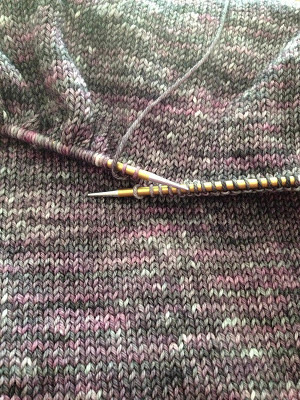 Are you working on any sweaters or cardigans this summer? I'd love to hear about it. p.s. I am teaching at Vogue Knitting Live in Chicago in November 2013. The classes are now up online. I am only teaching on the Sunday because of my kids' schedules so there are only a couple of my classes being offered. There are always loads of other classes being offered by the industry's best. Check it out if at all interested and I hope to see you there! You look adorable in your new sweater! Love the purple!!! I'm actually making my first one in years. It's quince and co's Lucinda! 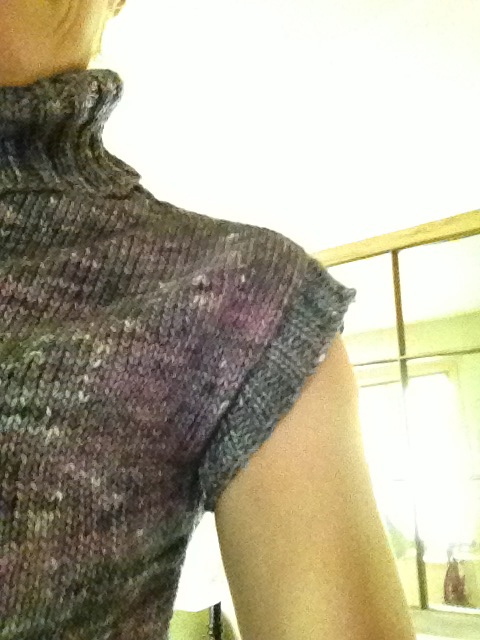 I am almost done with the body and I'm loving the chickadee yarn. I'm using goldfinch... A nice summery yellow. I really want to do something in the Q&C sparrow next! Hi Susan, Cute cardigan on you! 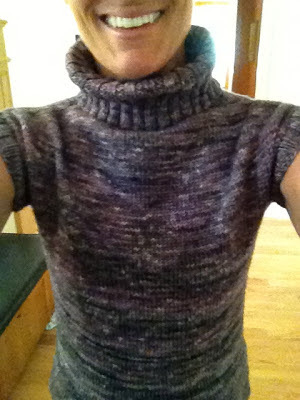 I'm just about finished with Tea with Jam and Bread, a versatile and easy crew neck pullover. I recommend that pattern--easy short rows, easy to modify a thousand ways. My next one will be a creamsicle-tangerine and natural, three-quarter sleeves for summer nights. So you, Susan. I smiled every time I see your header because it's so you and the former one of you wearing handknit socks in the Mary Jane's. Love the new sweater! 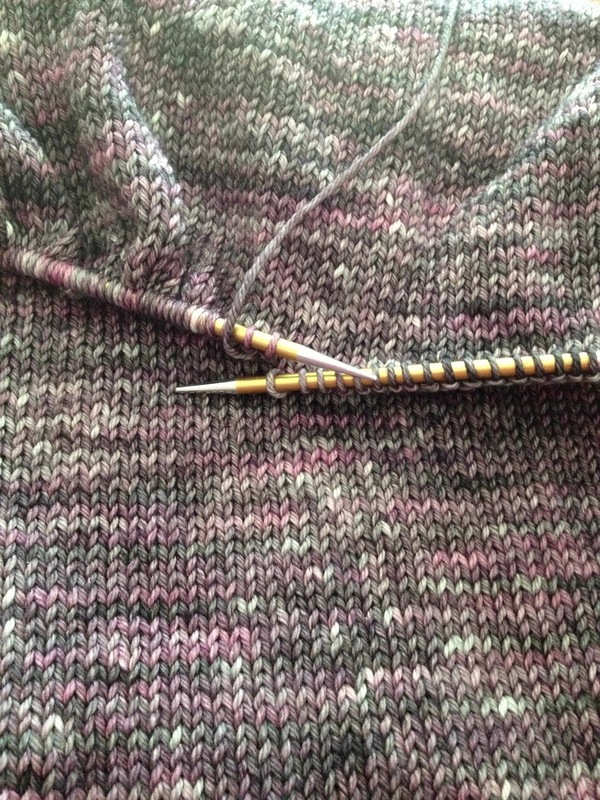 I'm working on the Merryall Cardigan by Amy Christophers. Very cute sweater. 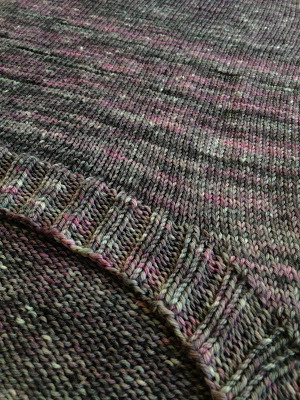 I'm finishing the sleeves for Olive Basket. It's a cardigan designed by Amy Miller from Milwaukee. I like supporting people in the state of WI since I'm from Green Bay. I'm using Bare Naked Wools Stone Soup DK in the color pumice. It's a great yarn; it feels like I'm knitting with my handspun. Anxious to see your next sweater. Love your new sweater collection. You're so good at it! I do have one question about the snowman a friend told me about. She said you made a gorgeous snowman but have not released the pattern. I just took a peek at it. OH MY GOSH! I want it. How soon? I hope you don't wait until November or December to release it.